If you’re anything like the thousands of other aspiring B2B companies out there, then getting access to accurate reporting and then maintaining the data continues to be a hard task for everyone involved. It’s time consuming to create reports, they can be hard to understand once complete and it’s a skill in itself to decide upon which reports you should spend your time creating or reviewing. And this is just for your own set of data and reports – what if you’ve got lots of teams, each of which require a different set of reports and data? This makes things even more complex and can soon become very demoralising as you spend your days ‘knee deep’ in reports instead of doing what you would like to be doing!. In the world of marketing there are so many activities that you can measure and report on. Are you reporting on visits? views? conversions? leads? Or all of them? Are you reporting on the channels that your website visits come from? The conversion rates and the revenue generated from your marketing and sales activity? The list of measurable data can be endless.! Since 2011, B2B marketing budget expectations have been on the rise, but 45% of those surveyed admit that they still struggle to attribute program spending to revenue results. 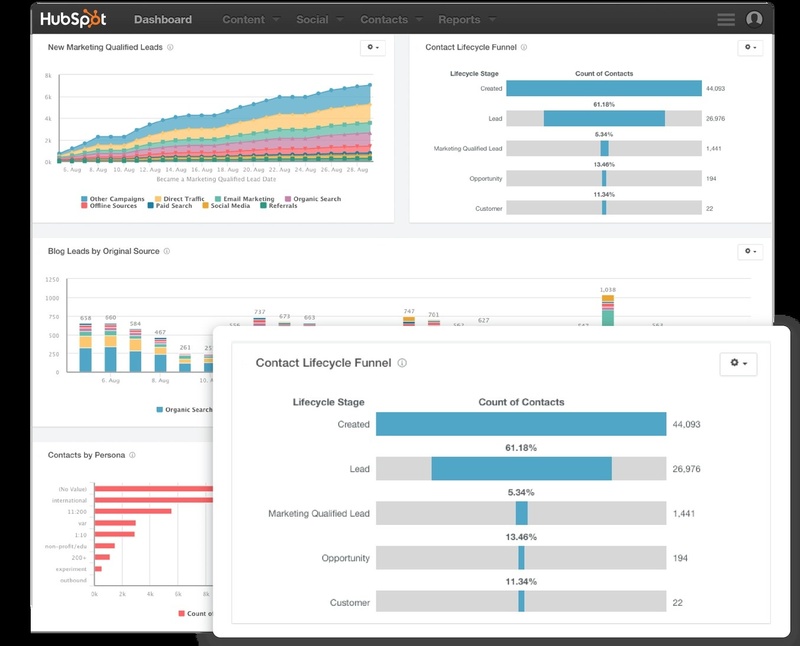 Using HubSpot, the way in which you can access and measure your marketing data is about to change. HubSpot’s new reporting add-on is a central dashboard that combines all of your marketing and sales reports into one simple, easy to use, easy to read interface. It’s good for both the marketing and sales team and the dashboard will grow with your business. You can build new reports based on your new requirements, change the order, change the data, change the purpose – the choice is yours. With one dashboard for all of your reports, of which every user gets their own drag and drop, easily customisable, incredible fast and easy to use interface, reporting couldn’t be simpler. A successful inbound company knows what they need to focus on to drive growth, and this makes it easy. Grow your team. Grow your reporting.